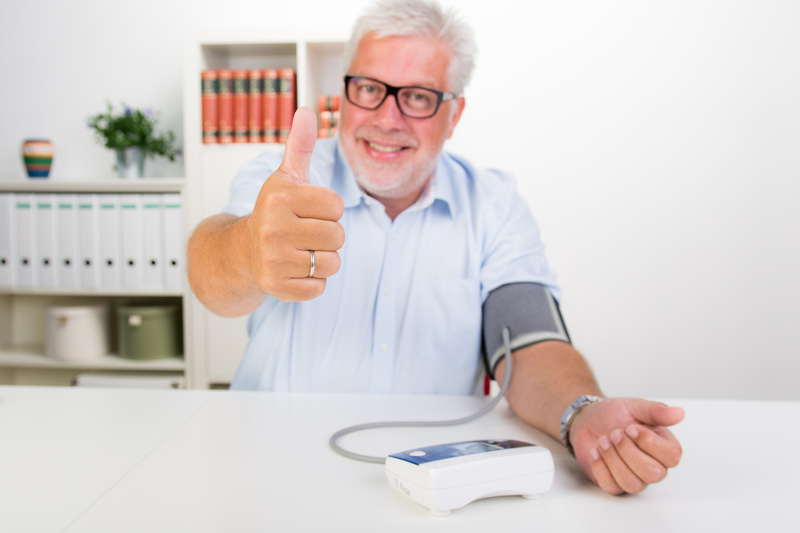 If you have been diagnosed with prehypertension or high blood pressure there are several lifestyle changes you can make to lower your blood pressure. Regular physical activity, at least 30 minutes per day, can lower your blood pressure by 4 to 9 millimeters of mercury (mm Hg). However, if you stop exercising your blood pressure will rise again. If you have prehypertension, physical activity can help you avoid developing full-blown hypertension. If you already have hypertension, regular physical activity can help to bring your blood pressure down to a safer level. There are many ways to get your daily physical activity in. Ask yourself what would you like to do? If you enjoy your physical activities you are much more likely to continue doing them. Walking, jogging, swimming, bike riding, and dancing are just a few examples. Also try to find a friend to do your physical activity with. Having someone to push you further and vice versa will help you to stick with it. There is an eating plan known as the Dietary Approaches to Stop Hypertension (DASH). This diet is rich in whole grains, fruits, vegetables, and low fat dairy products. It also lessens your intake of saturated fats and cholesterol. It has been shown to lower blood pressure by up to 14 mm Hg. If you are struggling with sticking to your diet there are several options out there to help you. Try keeping a food diary. This can be as simple as writing down what you eat daily so you can reflect on it and make changes. There are also several apps available for smart phones, computers, and tablets that can track and break down your daily food intake. Even a small reduction in your sodium intake can reduce your blood pressure by 2 to 8 mm Hg. Normally you should try to limit your sodium intake to less than 2,300 milligrams (mg) per day. A limit of less than 1,500 mg a day could be appropriate for people with a greater salt sensitivity. Groups of people who are at a greater risk for salt sensitivity include, African Americans, anyone aged 51 or older, and anyone diagnosed with high blood pressure, diabetes, or chronic kidney disease. Keep in mind that just one teaspoon of salt has 2,300 mg of sodium. As your weight increases your blood pressure will often increase as well. Sleep apnea, a common side effect of being overweight, will also raise your blood pressure. Try setting an attainable weight loss goal. Even losing ten pounds can help to reduce your blood pressure. Carrying extra inches on your waistline also raises your blood pressure. You should talk to your doctor about what a healthy waist measurement for you is. Typically men should try to stay below 40 inches and women should try to stay below 35 inches. Alcohol in small amounts can potentially lower your blood pressure by 2 to 4 mm Hg. That effect, however, is lost when you drink too much. It is recommended that women and men over the age of 65 have only one drink a day. Men under the age of 65 should limit their alcohol intake to two drinks a day. 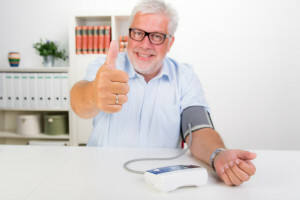 Drinking more than the one or two drinks per day can significantly raise your blood pressure and even reduce the effectiveness of your medications. Every time you smoke a cigarette your blood pressure is elevated for many minutes after you finish. Quitting smoking will also substantially increase your life expectancy. Reducing your stress can have a big impact on your blood pressure. Stress often triggers us to slide back into our unhealthy habits. Try to think about why you are stressed and how you can deal with it. Having a support system around you to encourage you and keep you on track can help immensely. Often just taking a little time to yourself to do something you enjoy can go a long way in reducing your stress.